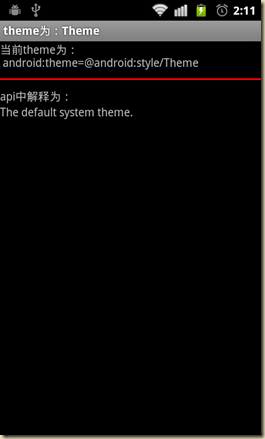 The default system theme. This is the theme used for activities that have not explicitly set their own theme. You can count on this being a dark background with light text on top, but should try to make no other assumptions about its appearance. 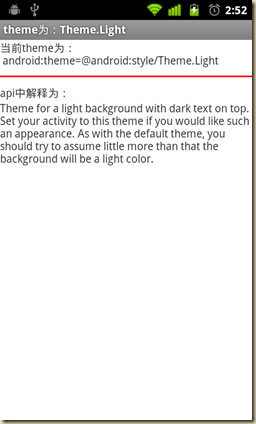 In particular, the text inside of widgets using this theme may be completely different, with the widget container being a light color and the text on top of it a dark color. 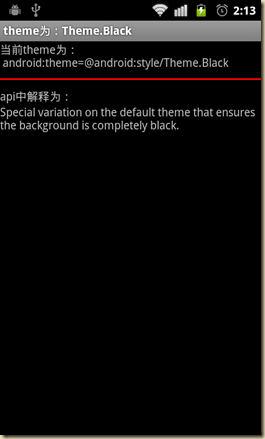 Special variation on the default theme that ensures the background is completely black. This is useful for things like image viewers and media players. 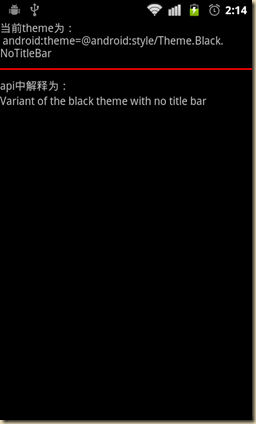 If you want the normal (dark background) theme do not use this, use Theme. 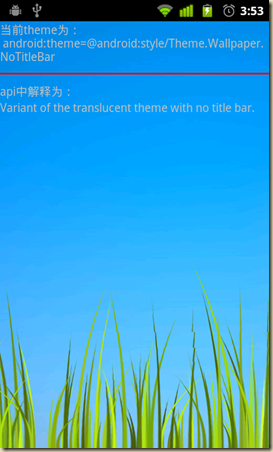 Theme for a light background with dark text on top. 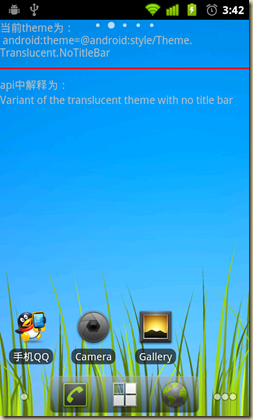 Set your activity to this theme if you would like such an appearance. 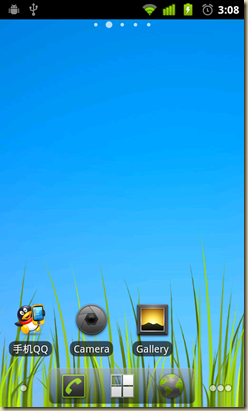 As with the default theme, you should try to assume little more than that the background will be a light color. 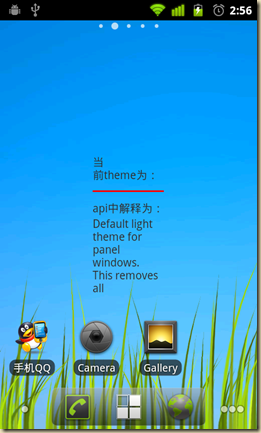 Default theme for dialog windows and activities, which is used by the Dialog class. 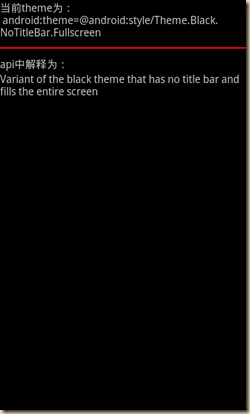 This changes the window to be floating (not fill the entire screen), and puts a frame around its contents. 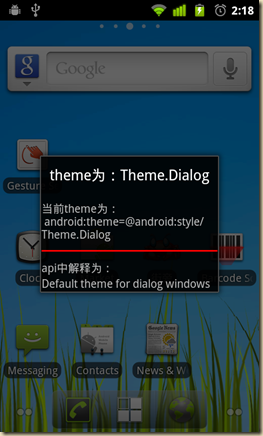 You can set this theme on an activity if you would like to make an activity that looks like a Dialog. 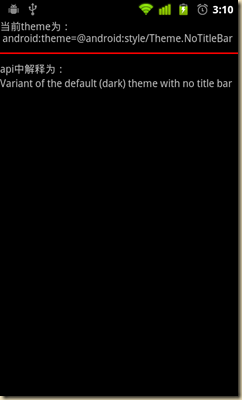 Default dark theme for panel windows. This removes all extraneous window decorations, so you basically have an empty rectangle in which to place your content. It makes the window floating, with a transparent background, and turns off dimming behind the window. 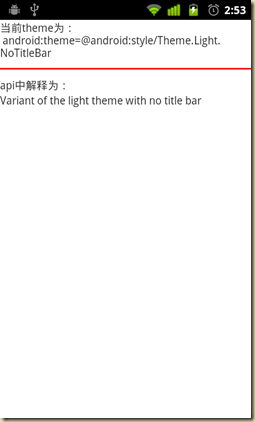 Default light theme for panel windows. 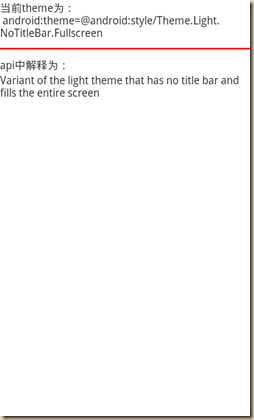 This removes all extraneous window decorations, so you basically have an empty rectangle in which to place your content. It makes the window floating, with a transparent background, and turns off dimming behind the window. 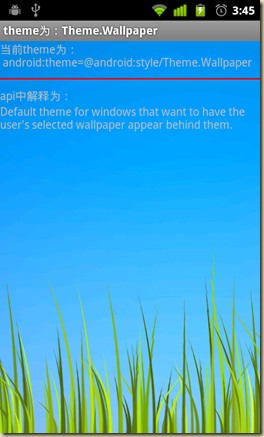 Default theme for windows that want to have the user’s selected wallpaper appear behind them. 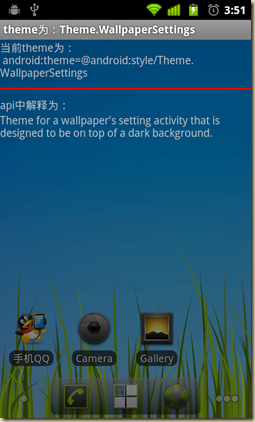 Theme for a wallpaper’s setting activity that is designed to be on top of a dark background. 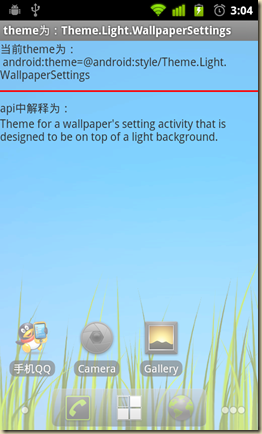 Theme for a wallpaper’s setting activity that is designed to be on top of a light background. 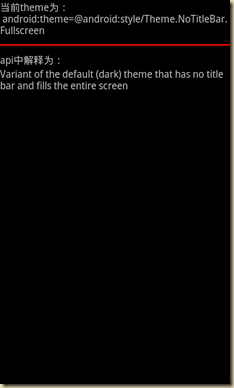 Default theme for translucent activities, that is windows that allow you to see through them to the windows behind. 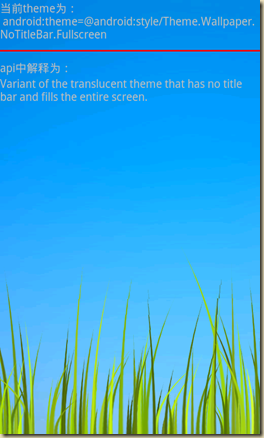 This sets up the translucent flag and appropriate animations for your windows.